Each year, Fulbright Enrichment Seminars, organized by the U.S. Department of State and Institute of International Education, provide an excellent venue for fostering new relationships and networking for Fulbrighters from all over the world. Such seminars allow students to visit one of several great US cities and hear renowned scholars speak, but more importantly they help create a unique atmosphere of international friendship where everyone shares a passion for a better world. 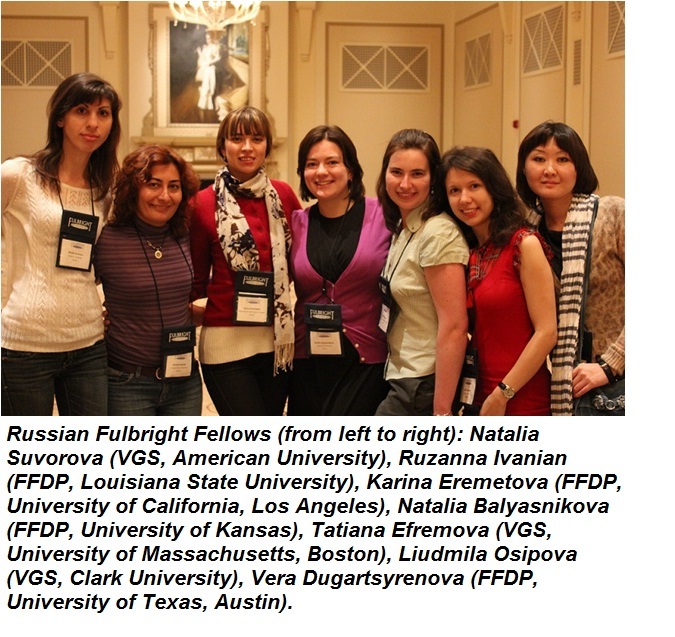 On March 8th, 2012, our group of participants from Russia joined 140 fellow Fulbrighters at the Palmer Hotel in Chicago for a seminar entitled “The Role of Diversity in Chicago City Politics.” Chicago, a city rich in contrast, provided a perfect background for learning how to foster multicultural relationships and use diversity to the community’s advantage. It was a very intensive and informative event: we attended lectures, panel discussions, workshops, community service activities, and spent time with locals from Chicago in the Hospitality Program. Senator William J. Fulbright once said, “having people who understand your thought is much greater security than another submarine” and three days spent together – doing community service, performing at a talent show, and electing a president of the seminar – proved that this statement is more than just fancy words. We not only met incredibly intelligent people from every corner of the world, but came to understand that there is great strength in our diversity, and found unity as a big Fulbright family.